THE village chief of Barangay San Pedro in Sta. Catalina, Negros Oriental was shot dead, while two other women were wounded in a broad daylight shooting incident Thursday, April 11. 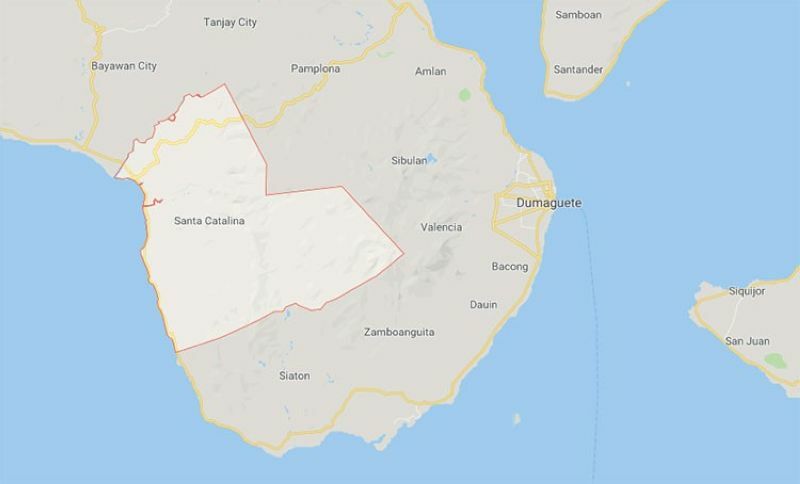 An initial report from the Negros Oriental Provincial Police Office identified the fatality as acting San Pedro village chief Samuel Ragay, and the two injured as barangay treasurer Nimfa Herosa and Lorna Vingcoy. Initial police investigation disclosed that three unidentified armed men barged into the barangay hall of San Pedro around 10 a.m. and told the victims to drop to the floor, said Police Corporal Mark Anthony Dicdican of the Sta. Catalina police station. Dicdican added that the suspects opened fire at Ragay, hitting him on the head and other parts of the body, while stray bullets hit the women. Ragay was declared dead on arrival while the injured women are now being treated at the nearby Bayawan District Hospital in Bayawan City, he noted. Scene of the Crime Operatives recovered four pieces of caliber .45 ammunition, three pieces of fired cartridge casings, and two pieces of deformed slugs at the site of the crime. The motive for the killing has yet to be determined although Dicdican said they have already identified some witnesses in the crime. Ragay is the third barangay captain in Negros Oriental to be killed during the election period this year.